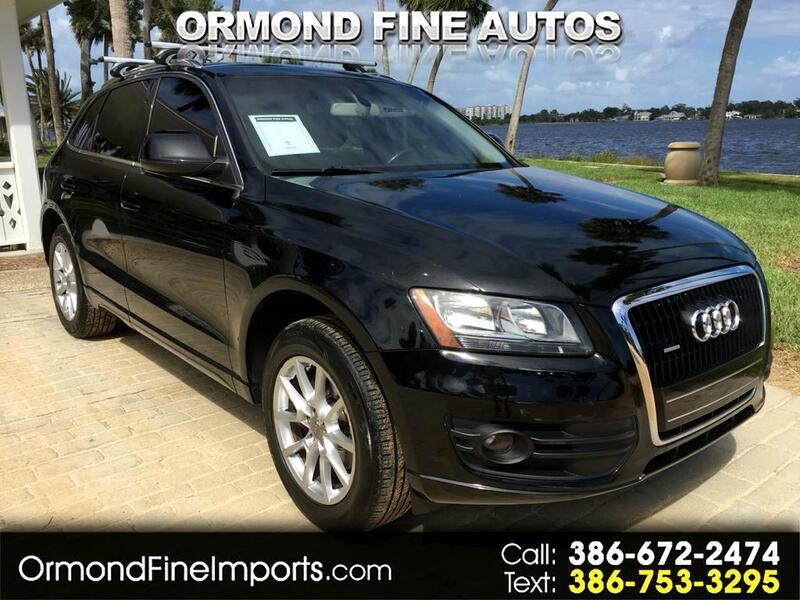 Perfect for someone looking for an SUV!! New Trade !! Florida Car !! Very Clean Q5 !! Built on the new A4 platform but longer, wider, and, of course, taller than the sedan, the Q5's dimensions are at or near top of class in every dimension except height. Audi wanted excellent handling and so took special care to lower the car's stance for a more gravity-friendly experience in the twisties. Even if you're going small, though, size still matters. The Q5 sits on a best-in-segment 9.22-ft wheelbase, a major contributor to the Q5's luxurious ride. And, its 15-ft overall length contains a spacious five-passenger interior and minimum of 19 cu ft of cargo space with a load width of about 41 in. The rear seats are split in a 60/40 ratio, can be adjusted separately for rake and fore and aft (by almost 4 in. ), and they also fold flat to provide 55 cu ft of cargo space and a load length of almost 67 in. (which can be made even longer by folding forward the front passenger seat). Message: Thought you might be interested in this 2009 Audi Q5.